"I strive to treat each client with dignity and respect while helping them identify and work through substance abuse issues." 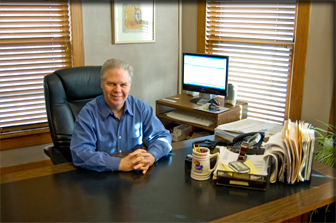 Barry Reed is the owner and Director of Assessment Services. He holds a bachelor’s degree in psychology from Missouri State and an Educational Specialist degree in School Psychology from KU. He worked as a school psychologist for six years and has been a state and nationally certified substance abuse counselor since 1985. Barry specializes in diagnosis and referrals and has personally conducted over 10,000 court ordered substance abuse assessments.